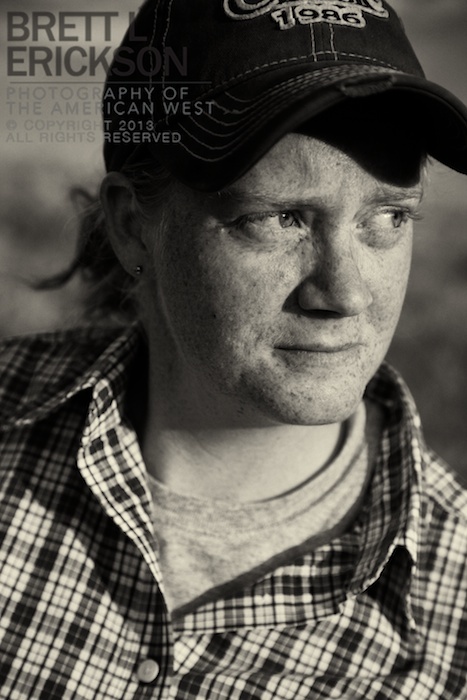 As promised, here’s one of the last two images I made of Cathy Hervert, a ranch worker who lives in Buffalo County, Nebraska, but roams all over the state in living her ranch life. 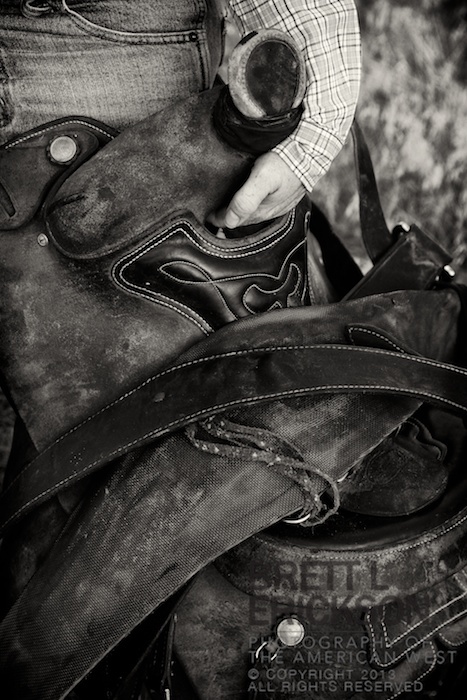 This is one of my favorite images from my shoot with Cathy Hervert, a treatise on the surfaces, patterns, textures and shapes in the artwork that is the American western saddle. Cathy Hervert and I have known each other for a long, long time, and it was only right that she be the first subject in this new book. I met her in the sandy hills of central Nebraska where I grew up, and we spent an hour in a plains-grass pasture (there are a lot of pastures where I’m from) making a few shots of her and her tack. Needless to say, she’s an easy subject to photograph, and that’s the best kind–they make the photographer look good. 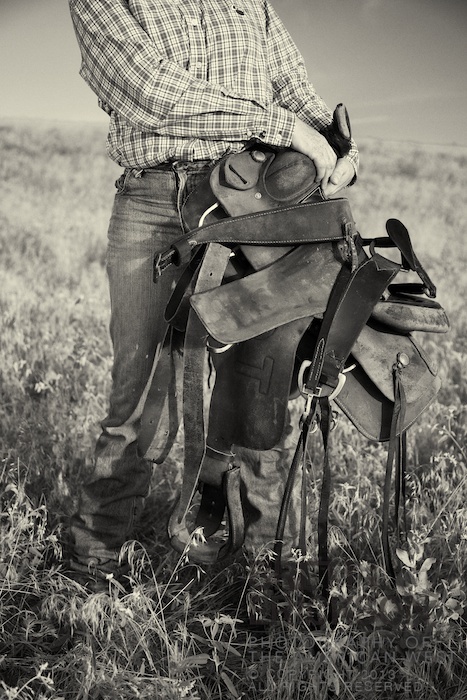 Last night I had my first shoot of my next book, Tough in the Saddle, a book about working ranch women in the American West. 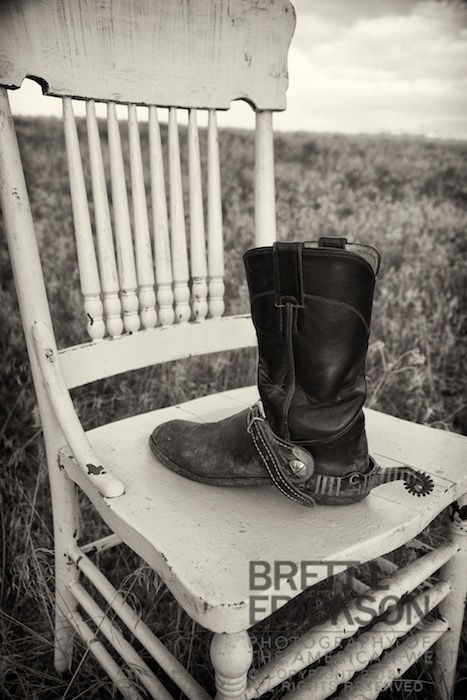 More is to come, and since a book is an ever-changing process (goodness knows PlainSky, Nebraskans turned out far different in the end than I envisioned four years earlier) I thought I’d begin by presenting an image very different than others I’ve published here–one of the boots worn by my first portrait subject. Be gentle.